Appletree Self Catering Cottage Loch Lomond Activities - LOCH LOMOND SELF CATERING HOLIDAY COTTAGE FOR 8. On the "Blog&Info" tab of this website you can find more about great days out, excursions etc. we have made, with photographs and details of where to go, how to get there etc. Choice of pubs and good food in nearby Drymen village as well as an excellent butcher, Spar mini market, Pharmacist and cycle hire. On the "Blog & Info" tab of this website you can find more about great days out, excursions etc. we have made, with photographs and details of where to go, how to get there etc. Aerial Adventures in trees - there are two sites for this. along the traffic free road along the shore of the loch. Cycling – we’re also on the Sustrans Route 7 which runs from Sunderland in the north of England to Inverness in the north of Scotland. Golf – there are 14 golf clubs boasting 16 courses all within about half an hour’s drive! The latter is a good place to take the bikes on the boat to Stronachlacher then cycle back along the traffic free road along the shore of the loch. Pony Trekking – Duncryne Equestrian Centre is about ten minutes drive from Appletree. Walking – we’re on the John Muir Way, a walking route from Dunbar to Helensburgh to commemorate John Muir, the founder of the National Parks in the USA. Water sports – see boating, kayaking, canoeing and waterskiing. Combining a visit to Doune Castle and nearby Deanston Distillery (see below) makes a great day out. Dumbarton Castle - this ancient castle has recently been restored. Scottish Maratime Museum, Dumbarton – a branch of this is in Dumbarton where they demonstrate the former Denny Shipyard’s testing tank. A great museum with a nice little tea shop! Tip: Buy your Sealife Centre Tickets at the Tourist Office in Balloch - much cheaper than on the door! Tip: Couriers Cafe in Causewayhead is an excellent Italian Cafe / Restaurant at the bottom of the hill for post Monument Climbing Food! Glengoyne – near Strathblane. About 15 minutes from Appletree. One of the oldest distilleries and still working. Appears in a lot of Glasgow based film and tv dramas including Still Game and The Angel’s Share. Produces some fantastic whiskies. One of our favourites! Deanston Distillery – near Doune. About 25 minutes from Appletree. This is another interesting one. Formerly a factory it was converted to a distillery in the sixties. Although one of the newer distilleries it is a very interesting tour and its product is excellent. Combining a visit to Doune Castle (see above) and near-by Deanston Distillery makes a great day out! Auchentoshan Distillery, Clydebank - this is easy to find near the north end of the Erskine Bridge. Producers of excellent whisky. 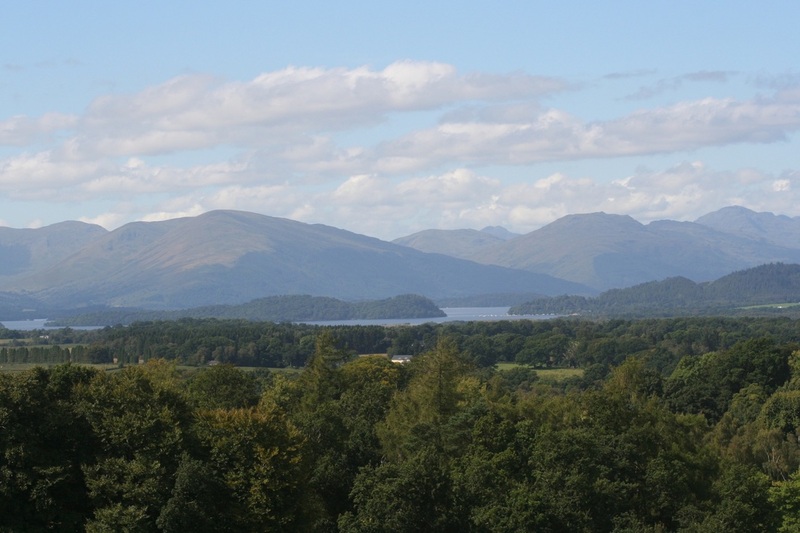 Over the years Trossachs.co.uk has amassed a wealth of useful information about the park. first Zulu Wars of 1879. 1. Balmaha - about ten minutes drive from Appletree Cottage. Have a meal in the excellent Oak Tree Inn or take the passenger ferry to Inchcailloch island nature reserve while you wait. This is often a difficult one to call! We find the uk meteorological office is usually a good bet. Forecasts (daily and hourly) can be found at www.metoffice.gov.uk Enter "Drymen" as the location. Alternatively www.accuweather.com provides a similar service.